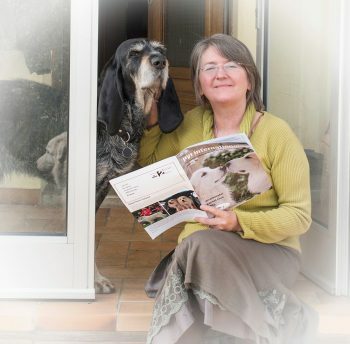 Jean Gill is an award-winning Welsh writer and photographer living in the south of France with two big scruffy dogs, a Nikon D750 and a man. For many years, she taught English in Wales and was the first woman to be a secondary headteacher in Carmarthenshire. She is mother or stepmother to five children so life was hectic. Publications are varied, including poetry and novels, military history, translated books on dog training, and a cookery book on goats cheese. With Scottish parents, an English birthplace and French residence, she can usually support the winning team on most sporting occasions. 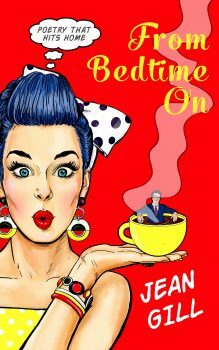 Jean’s latest poetry collection From Bedtime On was published on 13 April. Q: Firstly, welcome back, Jean! It’s nice to see you wearing your poetry hat. 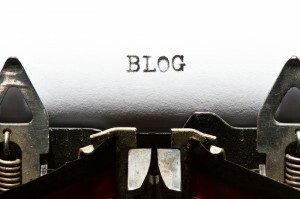 Thank you for inviting me back onto your blog, Jane. I have so many different personalities that it is rare for me to speak as this one – the poet – and yet that is how I began my career in writing, as a traditionally published poet. I still write poems but not many. I do wonder whether, as Wendy Cope said, you write more poems when you’re miserable. These two first books of poetry certainly drew on turbulent personal experiences. Q: What is your favourite description of poetry and how do relate your own work to this? I think poetry is the perfect marriage of form and content. When a poem comes to me, it brings a form with it, so I’ve experimented with free verse and concrete poetry, and also written traditional rhyming forms such as villanelle and haiku. As far as I know, I’m the only poet to have written a fifteen-line sonnet, a private joke that became public. Q: There is a great tradition of telling stories in verse. Do you see yourself predominantly as a storyteller or a poet? Both, equally. Some of my poems have stories to tell; some express a mood, idea or emotion without narration. Never Forget Your Welsh tells the story a stranger told me, when I was a teacher, and we were backstage together during a school play. His son had been an English-speaking miner among Welsh-speakers and, isolated, had committed suicide. The father’s story was heart-breaking, important, and I had to write it for him. Q: What are the greatest challenges in working within a limited word-count? I imagine every word must earn its place. a t o m i s e s s e n s e.
Q: Ezra Pound is quoted for saying, ‘the natural object is always the adequate symbol’. That is to say, an image can do more work for a poet than ‘poetic’ language. Do you find yourself expressing a feeling though an object? That all sounds a bit highfaluting and many readers are scared of poetry because they think they have to make comments like that about it. I had a big fight with my first boyfriend because he didn’t see why a word should have two meanings and in my world everything has multiple meanings! So, yes, I do express feelings through objects. In (Not Just) Still Life I describe a jug and a teapot. I was running a poetry workshop, where we each had a photo and wrote down what was in that image. I had a picture of – guess what? – a jug and a teapot. By the last lines, they made me think and feel this, which is perhaps not a very teapotty feeling. their hearts out, never touch. Jean is pictured with Sherlock. Photocredit: John Pilborough. If you review one of Jean’s books you can also add a dog to Jean’s Readers’ Dogs Hall of Fame on her website! Q: I have sometimes had a Eureka moment many edits into a novel. Has the performance of a poem in front of an audience ever changed the way that you feel about it? Q: What is the difference between a song lyric and a poem? Are there any lyricists who you feel blur the boundaries? I think some song lyrics are great poetry and as a teacher I used to get kids ‘into’ poetry by asking them to bring along their favourite song lyrics. Then we’d look at the poetic techniques used – verses, repetition, chorus, lines, imagery were all terms that arose naturally – and it was so much fun. One very disturbed teen boy not only brought in the words to Bon Jovi’s Living on a Prayer, he and his equally disturbed mate (a pyromaniac) sang the song right through, spontaneously. That was a moment of pure magic and I still get the shivers thinking about it. I realise that responses are personal, perhaps more personal with regard to poetry than with any other genre. Perhaps, I am alone in thinking these are two of the sexiest lines in any song. I can hear them as I write! put your camel to bed. Q: I am often asked how much of me is in my characters. The characters in poetry are sometimes less obvious, but do you write in character or as yourself? Both. The new editions of my first two poetry books have ‘the stories behind the poems’ as a back section. They’re not meant to explain the poems but to give a context, ‘where I was in my life journey when I wrote them’ as one reader put it. That’s exactly what I intended and some of the poems are about me, my life and the people in it. Many of the poems about me are in the third and poems about others are often first. Maybe there was a need to distance myself from my own experience? As in novels (which I also write) an author’s personal emotions can be expressed in many ways. After The Mexican Earthquake 1985 is about an international disaster, where a maternity unit was buried and babies rescued one at a time, over days, by mechanical diggers. It is also about my miscarriages, my withdrawal from relationships, and my return to the world I now live in, when my son was born. Q: How do you think your poetry collections are best enjoyed? Do you expect your readers to start at Page 1 and read the poems in page order? That’s only one option. In these new editions, readers can choose whether to read the back section, about the poem’s creation, before reading the poem, or vice versa, or not at all. I was really pleased with one review, which told me that the reader had dipped in and out, varying how she used the back section. For me as a reader, good poems are like cream cakes, too rich to read many at once. I often open a poetry book at random, read one poem, think about it, re-read it and then read a novel before returning to read one more poem. I might stuff myself with three poems in one go but rarely more than that. Too much brain-food! However, I do know poetry gluttons who can devour a whole book and that’s allowed too! Q What made you include the back section? I read Paul Trembling’s crime novel Local Poet where the victim is a poet and the detective has to figure out the clues to her death in her poetry. I was ready to bring out new editions of these two books, with wonderful covers by my designer Jessica Bell, and I suddenly thought, ‘Why wait till I’m dead? Why don’t I tell people what was going on ‘behind the scenes’ during each poem? It is strange and wonderful to look back on that younger Jean Gill, in her pain, joy and cleverness. She is somebody I can now live with and accept for who she was, good and bad. Q: Is there one question your writing brings you back to again and again? Do you think you will ever find an answer that satisfies you? Love. What is it? Why does it matter so much to me? There is no answer but pursuing an interesting question takes you on important adventures. 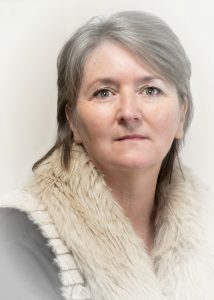 Want to find out more about Jean and her writing? 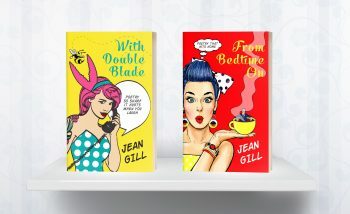 Sign up for Jean’s newsletter at www.jeangill.com for updates and a free book. Contact Jean at jean.gill@wanadoo.fr with comments or questions. She loves to hear from readers. Remember, if you enjoyed this post please share it. If there’s anything else you’d like to ask Jean please leave a comment. To have future posts delivered directly to your in-box, visit the sidebar on the right and subscribe to my blog, or to find out about new releases, competitions and freebies, subscribe to my newsletter and I will send you a free copy of my novel, I Stopped Time, as a thank you. Thank you for making me think! Great questions and lovely to be invited back on your blog, Jane!